Ten organisations appeared before the Constitutional Review Committee on the third day of public hearings, to present their comments and recommendations on the proposed amendment to Section 25 of the Constitution dealing with the government’s land reform proposals. Indigenous First Nation Advocacy South Africa (IFNASA) recommended that Section 25 should be amended. Section 25 (7) had unjustly ruled and was prejudiced against the indigenous first nation’s dignity as espoused in the preamble of the Constitution, and access to land. This piece of law was unsound and based on the colonial conquest philosophy. Section 25(8) petitioned the state to make exceptions when it highlighted that the provision of this section may impede the state from taking legislative and other measures to achieve land, water and related reform, in order to address the results of past racial discrimination. Every Nation Churches said it was acceptable to God for individuals to buy and own property, as long as they remembered who allowed them such a privilege. Title deeds should be in the hands of as many people as possible, as this gave them access to capital and the ability to borrow against the land or sell it outright. Land ownership should be decentralised to individuals and communities, rather than to tribal authorities or the state, as direct ownership leads to the prosperity of many, rather than the enrichment of just a few in authority. The organisation did not see a need for amending Section 25, as its present form already provided for land expropriation without compensation. Chidi Attorneys said there was no need to amend Section 25 for expropriation of land to take place. Section 25 (1) stated that land may be deprived without compensation, but the land may not be deprived arbitrarily, and thus should be done using the application of general law. Two court judgments could be used to substantiate expropriating land without compensation – the First National Bank and AgriSA judgments. The AgriSA court judgment was even more important, as it stated that the government had a social responsibility towards its people. The South African Human Rights Commission said a fundamental solution to address land reform was to adopt reasonable legislation that could be used by the government to facilitate and expedite land reform as required by Section 28 (8). This should be done, because the “willing buyer, willing seller” principle had not worked, and moreover it was not provided for in the Constitution. Section 25(8) explicitly authorised a departure from the provisions in Section 25 to reflect land reform that redressed the effects of racial discrimination, as long as the departure was in accordance with Section 36 of the Constitution. Legislation should also acknowledge groups that had been dispossessed of land prior to 1913, and whose position was thus not addressed by the restitutionary provisions enshrined in section 25 (7). The Helen Suzman Foundation quoted the High Level Panel report saying that the need to compensate had not been a constraint, but the challenge had rather been the administrative burden placed on the institution responsible for land reform. In the 2018 budget, only 0.3% of the budget had been allocated to land reform. Section 25 permitted expropriation of property in the public interest, which was defined as including reforms to bring about equitable access to natural resources. In addition, Section 25(8) of the Constitution provided that “no provision of this Section may impede the state from taking legislative and other measures to achieve land, water and related reform”. The Foundation believed that it was possible to expropriate in terms of Section 25, but a clear legislative framework needed to be developed that would outline the processes that had to be followed for land reform. The National House of Traditional Leaders said the injustices of the past had resulted in inequalities and challenges of poverty and unemployment for black people. The Traditional House supported the amendment of Section 25, but the expropriation of land should not include the 13% of land under the custodianship of Traditional Councils. The Expropriation Bill should apply specifically to 87% of the land. It also submitted that it was not necessary to amend Section 25, but legislation for land reform should be enacted. The Foundation for Human Rights suggested that Section 25(1) should be amended to make it clear that there should be a balance between those who owned the land, and those wishing to own the land. Section 25 should be amended in favour of restoring land to those who had been dispossessed, and should clearly provide for land expropriation without compensation of privately owned land which was not being used, or was under-utilised. The Southern African Catholic Bishops Conference said they had noted the arguments made by some individuals that Section 25 need not be amended to allow for expropriation, as it in its current form it already allowed for expropriation. There were arguments that the government did not have the necessary capacity to administer the process of land reform, and that nothing in the Constitution obliged the state to pay market-related prices for land for redistribution. The church was not in principle opposed to expropriation of land without compensation, especially in cases where the land in question had been illegitimately and dishonestly taken from its previous owners. Afriforum said there were three major problems with SA’s land reform process: firstly, it was based on false historical information; secondly, there was no real hunger for land among blacks; and thirdly, where government had intervened here had been catastrophic disasters. The land reform policy was meant to benefit black people so that they could own property, but it had become a policy used by both the ANC and EFF to benefit themselves. The white people had acquired land by occupying empty land, through negotiations with tribal leaders and through conquest, and not by stealing as the current government had stated. A study by the Land Bank had found that 4 000 farms had been acquired since 1994 at a cost of R10 billion, of which only 10% were productive. It was clear that the government’s push for expropriation without compensation was founded on racist sentiment and a distortion of history. The primary targets of this policy were clearly white farmers. Witzenberg PALS submitted that land reform was important for the eradication of poverty. Section 25 stated that land reform was not only the role of government, but all sectors of society, and removed any potential impediment to this obligation in providing legislative and other measures to achieve land, water and related reform. However, the amendment of Section 25 would have far reaching and unintended consequences, such as a detrimental effect on the rights enshrined in section 3, 7, 9, 22 and 24, and therefore on the Bill of Rights as a whole. It was undesirable to amend Section 25, and also unnecessary, as the very purpose of land reform could be achieved through other means and without meddling with the Bill of Rights. The Chairperson said the oral presentations would carry the same weight as the public hearings that were held in the different provinces. The only stakeholders that would be presenting today were those that had been approved by the Committee. These presentations were guided by Sections 59 and 72 (1)(a) of the Constitution, which facilitated public access to and involvement in the National Council of Provinces (NCOP). He reminded the Committee members that their role today was to specifically ask clarity-seeking questions, and not for them to get into lengthy debates about presentations and different views concerning the amendment of Section 25. Mr Anthony Williams, Chief Executive Officer (CEO), IFNASA, said he was disappointed to see that there was only one organisation representing the Khoi-San people. The Coat of Arms and Section 6(2) and (5)(a)(ii) validated that the Khoi-San were a separate or distinctive community which needed affirmation in their recognition. The illustrations in the Coat of Arms were direct proof that the so-called ‘Coloured’ people were the first nation people of Southern Africa. He stressed that the so-called ‘Coloured’ people should not be referred to as ‘black’ people, because black people did not exist. IFNASA recommended that Section 25 should be amended. Section 25 (7) had unjustly ruled and was prejudiced against the indigenous first nation’s dignity as espoused in the preamble of the Constitution, and access to land. This piece of law was unsound and based on the colonial conquest philosophy. Section 25(8) petitioned the state to make exceptions when it highlighted that the provision of this section may impede the state from taking legislative and other measures to achieve land, water and related reform, in order to address the results of past racial discrimination. The IFNASA noted that such exceptions had been made, but it lacked adequate consultation with the IFNASA, as advocated by Section 72(a) of the Constitution. The Chairperson responded that the Committee had responded only to organisations that had requested to appear before it to submit oral presentations. There may still be more organisations representing the Khoi-San community. Ms M Mothapo (ANC, Limpopo) said the organisation submitted that Section 25 (7) be completely removed, and asked what alternative it recommended that sub-section 7 be replaced with. Mr M Maila (ANC, Limpopo) asked the organisation if they were in support of land being expropriated without compensation. Mr E Buthelezi (IFP, KwaZulu-Natal) said if the land was expropriated without compensation, who would be their preferred custodian of the land – the people or the government? Mr S Swart (ACDP, Free State) said on the basis that the organisation had stated that all South Africans should be regarded as the first indigenous people of South Africa, including white South Africans, how then should Section 25 be amended to accommodate all South Africans, and did the organisation propose that the land be expropriated with or without compensation. Mr Williams said IFNASA had worked on the 2001 Alexkor Ltd vs Richtersveld Constitutional Court case (CCT19/03), and believed that the outcome of case had set a precedent on how South Africa should deal with matters concerning property. The Constitutional Court had decided that the Richtersveld community’s claim to the land should be acknowledged and restored. Incorporated in this was the right of the community to claim compensation for past exploitation of the land by Alexkor and the state. He added that the judgment of the court case was written specifically for the First Nation Indigenous People. Quoting the judgment, he said: “You could not look at a law, or a dispute concerning indigenous people, through a prism of common law”. Therefore, the organisation supported that land should be expropriated without compensation. The Indigenous First Nation people were not the right people to speak on alternatives for land expropriation without compensation, because they had previously been excluded from the conversation. After the 1994 elections, the Indigenous First Nation people had approached the Convention for a Democratic South Africa (CODESA) to be part of the conversation regarding land expropriation, and CODESA had since not responded to their proposal, so they were proposing that Section 25 be completely removed. The indigenous people had already paid for the land with their lives. Mr M Filtane (UDM) asked from which part of Southern Africa the Khoi-San people originated, and where was the evidence to prove that they were the first indigenous people be found. Mr F Shivambu (EFF) asked how one determined who the first indigenous people were, and from which part of South Africa they had originated, because the current South African borders had been created by colonists, and not by the original dwellers of South Africa. How could one determine which group of people were the original dwellers of South Africa, and what kind of ceremonial procedure should there be to recognise the first nation people? He asked if the organisation agreed that there should be categories for the so-called ‘black’ people into groups of Khoi, San and Africans. Dr C Mulder (FF+) said that Section 235 of the Constitution should be amended, instead of the removal of Section 25(7). The amendment of Section 235 would seek to recognise the Khoi-San people as a community. Mr Williams responded that there were some radical Khoi-San people who claimed that they should own South Africa, but the Indigenous First Nation was only seeking recognition. The Nguni people did not migrate to South Africa -- they had been forcefully removed -- therefore no one could claim South Africa belonged to them. When people spoke of Africans they referred only to people of Nguni and ‘Bantu’ origins. There had been a dislodgement of the original African people, who were the Khoi and the San. Mr Simon Lerefolo, Pastor: Every Nation Church, said the church had had a consultation process with its constituents and had deliberated on the Biblical view of land ownership and land reform. The Bible was not without examples of landowners on land which had biblically been used for agricultural purposes. It was acceptable to God for individuals to buy and own property, as long as they remembered who allowed them such a privilege. Title deeds should be in the hands of as many people as possible, as this gave them access to capital and the ability to borrow against the land or sell it outright. Land ownership should be decentralised to individuals and communities, rather than to tribal authorities or the state, as direct ownership leads to the prosperity of many, rather than the enrichment of just a few in authority. The organisation did not see a need for amending Section 25, as its present form already provided for land expropriation without compensation. Section 25 did not protect property -- it merely protected the owner against arbitrary deprivation of property. Deprivation that was not arbitrary was therefore permissible. The government’s power to expropriate did not depend on the willingness of the buyer, but merely required that the compensation be just and equitable. The government should abandon the idea of a market-driven approach to land reform. As previously stated, the land issue may not necessary be about land for most South Africans -- it may come down to what constituted proper economic justice for all. The Freedom Charter states that “the land shall be shared among those who work it”. Therefore, those who would prefer not to return to the land and work the land needed to be compensated by other means. Alternative methods of land reform should also be considered, such as the current Expropriation Bill, for example. Above all, the government should pursue models that promote peace, harmony and social cohesion. Mr Lerefolo responded that the Freedom Charter quote meant that there had to be an intention to work the land and develop the land. It was broader than just farming. Ms T Mokwele (EFF, Noth West) asked the organisation to quote a scripture from the Bible where it said that people must have title deeds and own land. Who did the Bible recognise as the owners of the land in South Africa? Mr Lerefolo responded that the book of Deuteronomy and Exodus made it clear that wherever the Egyptians settled, they had ownership of the land, and it continued to also speak about individual ownership of land. According to the Bible, there were no title deeds issued to land owners, but in the present day parties entered into contracts and agreements, which was used as proof that one did own land. He made it clear once more that the Bible did refer to individual ownership of land. Mr Gareth Stead, Pastor: Every Nation Church, said the principle of stewardship was very important. The scriptures from Genesis to Revelation emphasised the principle of stewardship, and they add that God shall own the land and God would delegate the stewardship of the land to the people. Therefore, the pattern throughout the scripture was that land should be decentralised as much as possible. In the New Testament there were scriptures which proved that God was dissatisfied with the state’s ownership of the land, and even private ownership. Ms Mokwele asked if the organisation agreed that God gave the state total control of the land. Mr Lerefolo said no scripture could provide proof whether God gave the state control of the land. However, Psalm 24 states that “the earth belongs to the Lord, and everything in it.” In the book of Genesis, God gives stewardship to the people and not the state. Mr Shivambu said people should not misuse the Bible, and it should not specifically be used to debate the amendment of Section 25. Mr Swart interrupted Mr Shivambu, arguing that the Member’s statement was out of order in saying that he had a problem with a view because it was different from the view shared by his political party. Ms Mothapo said the Chairperson should allow Mr Shivambu to complete his statement, and when he was finished the Chairperson could determine whether his statement should be withdrawn or not. Mr Shivambu continued by saying the colonists had used the Bible to justify their actions for the slavery of black people. He did not understand what type of church would advocate for black people to be denied the ownership of land. The Chairperson said the Committee could not question the organisations’ legitimacy on the land debate. Mr Lerefolo said they did not advocate amendment of Section 25 to accommodate the scriptures in the Bible, but Section 25 already supported the expropriation of land without compensation. The organisation supported restitution. Mr Lerefolo responded that the people who took the land should restore the land back to the owners, and the state should not take the responsibility alone to restore the land. Those who took the land should also play a role. Mr Filtane said the “willing buyer-willing seller” principle had not worked in South Africa. He asked if the government would be in the right and successful with increasing taxes on farms that were not productive, due to excess land. Much of the land that was not being used was too small to accommodate the millions of people who needed it. Mr Stead responded that incentivising the process was very important. Mr Swart asked what role the church could play in restoring peace during the expropriation of land. Mr Lerefolo said the church would like to play the role as a mediator between the people who had been dispossessed of land, and those who currently owned the land. The organisation had cited the Commission for Conciliation, Mediation and Arbitration (CCMA), which in the labour laws had helped many people with labour disputes. The church could also play a role between the current farm owners and those who had been dispossessed. Mr Buthelezi said the organisation believed that land should be given to individuals, and not to the state or tribal authorities, as this may lead to corruption and benefit only a few. On the basis of this statement, did this mean that the organisation viewed the state as an individual that served its own interests, or people who were elected to serve the interests of the public? Mr Stead said they viewed the state as an institution that was elected by the people and was responsible for passing laws, but it was not the only recognised institution - there were families, civil society and communities, which could also be regarded as institutions. Concerns should be raised on the dangers when the state wanted to play God by owning all the land, where people became subservient rather than equal members of society. Ms Mothapo asked how their principles of restoring love balanced their lambasting of traditional authorities who were the custodians of land in the rural areas. Mr Lerefolo responded that it was not the intention of the church to lambast tribal authorities, but there should be a way to encourage individual ownership of land, and not have one person or group having ownership. Mr T Godi (PAC) said there was nothing wrong with religious organisations having their opinions on the land debate, but using the Bible to substantiate their views did not assist with bringing about a constructive debate. There had been no mention of the historical dispossession of black people in their presentation, and this gave the impression that the organisation did not care about black people who had been dispossessed of their land. Their presentation gave the indication that expropriation of land should be driven by those who currently owned the land. Mr Lerefolo said that due to a lack of time, they were not able to quote the Biblical scriptures that stated that ownership of land should be given to individuals. The presentation had given a brief history of the pain of the dispossessed people. He concluded that people must be taught on how to work the land, else it would be unproductive. Mr Matome Chidi, of Chidi Attorneys, said there was no need to amend Section 25 of the Constitution in order to give effect to the resolution on expropriation of land without compensation. Section 25 was progressive and transformative -- it allowed progressive realisation of land reform. The land was disposed in 1913, and thereafter sub-section 8 permitted any other land to be expropriated. Section 25 (1) states that land may be deprived without compensation, but the land may not be deprived capriciously or arbitrarily -- it should be done in terms of the law of general application. The First National Bank (FNB) court judgment had shown that Section 25 was not a protection of private property, but was to advance the interests of the public. The AgriSA court judgment was important in the sense that it stated that the government had a social responsibility, which ranked higher when compared to the protection of the right to property. The court judgment recognised the injustices of the past, showed that the Constitution was transformative in nature, and that Section 25 opened opportunities for people to own land. There was a difference between deprivation and expropriation. Deprivation meant there must be use of the property, there must be interference with the use of the property, and that there was no compensation. The state could access land for the benefit of the people, since Section 25 already allowed for the deprivation of land. Also, the government could develop regulations to assist with how the process of deprivation of land could be done. He concluded, saying there could be a parallel process. The first and immediately implementable process was departure. The other was amendment of Section 25, to repeal compensation. The latter could be cumbersome and could be effected long from now. In order to facilitate the acceleration of land reform, the government should start with departure and at a later stage amend Section 25. Mr N Koornhof (ANC) asked if Mr Chidi was proposing that instead of amending Section 25, Parliament should create separate legislation to facilitate land reform, which was also a much faster process than amending the Constitution. Mr Chidi responded that there would not be a need if the question related to deprivation of land, but the question spoke to the expropriation of land. Owing to the fact that amending the Constitution would be a lengthy process, Parliament should consider sub-section 8 departure legislation, which could be finalised more quickly. If Parliament amended the Constitution, it would still need to promulgate an Act of Parliament that would give effect to the amendment of the Constitution. Mr Maila said he did not understand what Mr Chidi’s views on the land reform debate were. Mr Chidi said if Parliament decided to amend the Constitution -- which he was certain could take a long time -- it could in the meantime create legislation that could be used to facilitate access to land while the Constitution was being amended. Mr Shivambu asked which process of amending the Constitution would be lengthy. Parliament did not want to use short cuts to amend the Constitution. Mr Buthelezi asked if the Constitution already provided for the expropriation of land without compensation. Mr Filtane asked, if Parliament followed the proposal made by Mr Chidi to consider the sub-section 8 departure legislation, whether it would not be faced with litigation claiming that it did not follow processes in conjunction with the Constitution. Mr Chidi responded that the FNB court judgment already catered for land to be deprived without compensation. Mr Swart said it was unfair that Members of the Committee were biased against views from the public which were different from theirs. Mr Filtane responded saying that he did not have a problem with the views of the presenter, but his problem was that the presenter was not giving him direct answers to his question. 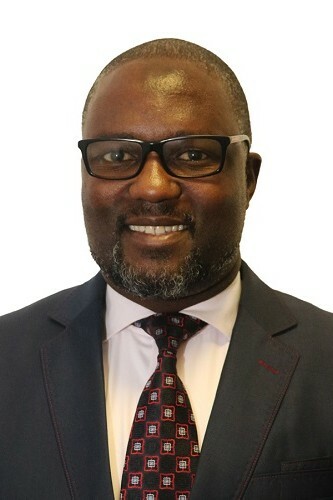 Adv Jonas Sibanyoni, Part-time Commissioner, SAHRC, said Section 13(1)(b)(v) provided that the Commission must review government policies relating to human rights and make recommendations. The Commission regarded land reform as a key process through which SA’s legacy of racial and spatial apartheid could be addressed. The issue of the 1998 restitution claim deadline had been identified as a concern, but there were also other challenges that had made the resolution of existing claims difficult and/or severely delayed. A fundamental solution to address the issue of land reform was the adoption of reasonable legislative and policy measures that could be used by the government to facilitate and expedite land reform as required by Section 28(8). The Constitution did not lend itself to amendment in the detail needed to limit expropriation without compensation, in the context of addressing the results of past racial discrimination. Given the decreasing budget for land reform, as well as the failure of the “willing buyer, willing seller” principle used by the government, the Commission regarded expropriation of land without compensation as being just and equitable in appropriate circumstances. The “willing buyer, willing seller” principle was not provided for in the Constitution. It should be noted that it remained unknown to what extent the government had used its constitutional powers to expropriate land. Although the state expropriated land on a regular basis, it had rarely expropriated property for the purpose of land reform. Legislation should cater for circumstance where no compensation for land was payable by the state to address the racial disparities caused by the discriminatory system of apartheid, and it was neither desirable nor necessary to amend the Constitution to reflect this level of detail. Section 25(8) explicitly authorises a departure from the provisions in Section 25 to reflect land reform that redresses the effects of racial discrimination, as long as the departure was in accordance with Section 36 of the Constitution. The conditions set by Section 25(8), read with Section 36(1), reflect the scope of the government’s proposed strategy of expropriation without compensation, in that it permits a departure from the compensation provisions in Section 25, to the land reform context. Legislative measures should acknowledge groups that were dispossessed of land prior to 1913, and whose position was thus not addressed by the restitutionary provisions enshrined in section 25(7). This group of beneficiaries would include both Khoi-San and ethnic tribal minorities dispossessed of land before the introduction of the Native Land Act, 27 of 1913. Mr Koornhof said sub-section 3 listed ways in which land could be expropriated without compensation, and besides the three that had already been mentioned, there were other ways in which land reform could take place. Section 25(3) had never been tested in the Constitutional Court, so if the sub-section could be tested in the Constitutional Court, would the SAHRC have the authority to petition the Constitutional Court to pronounce on sub-section 3? If the SAHRC had that authority, were they contemplating on taking that direction? Mr Shivambu said he was not comfortable with the submission from the SAHRC because the organisation seemed to be taking a political position. It had been agreed that government departments and their entities should not be allowed to make submissions, and this rule should have also been applied to Chapter 9 institutions. Their presentation spoke to matters such as land claims, which the Committee was not dealing with at the moment. Mr Filtane said the Commission had referred to a need for systematic interventions, and had made suggestions that there could have been systematic work problems in the process. There was no law of general application, therefore Parliament was left with no option but to amend Section 25. Mr Swart said the SAHRC was a Chapter 9 institution, which promoted respect for human rights. The SAHRC’s position on land reform was in line with the views of academics, who had also stated that the Constitution already provided for land expropriation without compensation. Adv Andre Gaum, Commissioner, said sub-section 8 allowed a departure from the provisions of Section 25 (2) and (3), pertaining to the matter of compensation, and it did allow legislation to depart from the section as long as it was in line with the limitations clause of Section 36 of the Constitution. Expropriation without compensation was allowed, but it should be done through legislation and not the amendment of the Constitution, because the Constitution did not lend itself to the detail required in this regard. There was a well-established principle of constitutional subsidiarity, which states that in the first instance, reliance should be placed on legislation in terms of specific rights in the Bill of Rights, and not on the rights themselves, but on legislation that was detailed. Clear evidence of the lack of political will was indicated by the pace of restitution, which had been extremely slow. According to the Report of the High Level Panel, there had been a downward trend in the pace of redistribution since 2008. There were still 7 000 unsettled claims in the current restitution process, and more than 19 000 unfinalised claims that had been lodged before 1998. It would take 35 years to settle these claims at the present rate of 560 claims a year. The budget allocated to land reform and restitution was negligible. In the 2018 national Budget, only 0.3% of the consolidated expenditure was allocated to land reform and restitution combined. Section 25 permits expropriation of property in the public interest, which is defined as including “the nation’s commitment to land reform, and to reforms to bring about equitable access to all South Africa’s natural resources”. It also sets out the criteria for compensation to be paid. On a literal interpretation, there was nothing in Section 25 that precluded the compensation from being small (or nothing at all), if that was the result of taking all relevant circumstances into account, as required by its provisions. This would be possible where land had been unutilised for a considerable time, from which the owner was deriving no income, which provided no employment, or where there were no plans to use the land in a productive manner, but where there was real potential (either for agricultural or urban purposes) in making it available within the Government’s land reform programme. The history of the property and the way in which it was acquired may also be relevant. In addition, Section 25(8) of the Constitution provides that “no provision of this Section may impede the state from taking legislative and other measures to achieve land, water and related reform, in order to redress the results of past racial discrimination, provided that any departure from the provisions of this Section is in accordance with the provisions of Section 36(1)”. Section 36 (1), which was referred to at the end of Section 25 (8), provides that limitations may be contained only in the legislation of general application. In other words, such measures may not target specific individuals or groups, but must apply to all. Given the clear and unambiguous meaning of Section 25 (8), what need was there even to discuss changing the Constitution to provide for expropriation without compensation? How would decisions be taken on land that was to be expropriated? What criteria were relevant in any decisions? Who would take the decisions? What procedure was foreseen for objections? Who was to be given the expropriated land? Who would decide on who was to be a beneficiary? On what criteria? Would the policy be targeted to benefit the poor? Were the financial circumstances of the persons whose land was to be expropriated relevant, to avoid former owners being left destitute? What dispute resolution mechanism was to be established? The Foundation agreed that land reform was necessary, given South Africa’s history, and to assist in creating employment and addressing the inequalities in the country. However, the focus of the motion, in considering a change to the Constitution, was misplaced and diverted attention from the policy and institutional changes needed for effective land reform. Instead of considering a change to the Constitution, the Committee should recommend the establishment of a clearly defined overall legislative and regulatory framework. Mr Van Dalsen responded that the government department that decided to take up the responsibility for dealing with land reform would have to establish a framework detailing how decisions would be taken on land that was to be expropriated; what criteria would be used in any decisions; who would be given the responsibility to make these decisions, and what procedure would they follow. This framework would assist the department with eliminating the space for corruption and elite capture. Ms Mothapo said land reform sought to expropriate both the fertile and infertile land, but the presentation had focused solely on infertile land that was located in the tribal areas. Mr Van Dalsen said the land in traditional areas could not be ignored. The Foundation had chosen to focus on farming land, because the public debate had been solely on land that was used for farming. However, the Foundation believed that the focus should be on land in the urban areas too. Mr Shivambu said the High Level Panel report had never been adopted by Parliament, yet the Foundation had continued to refer to it in their presentation. It was not surprising that the three old white men presenting were against the expropriation of land without compensation. He asked if the Foundation, named after Helen Suzman -- who was an apartheid agent and part of the apartheid Parliament -- believed that Parliament should keep the status quo. Adv G Breytenbach (DA) interrupted Mr Shivambu on a point of order regarding his comment that Helen Suzman was an apartheid agent. It was obvious that Helen Suzman had worked against the apartheid government. Mr Shivambu continued by saying that Helen Suzman had collaborated with the apartheid government and campaigned for white people to receive an increase in their social grants. Mr Van Dalsen said the Foundation did not regard the High Level Panel report as a report of Parliament, but understood that it was a policy document. The remarks about Helen Suzman had been unfair. Mr Filtane asked why the Foundation was saying that giving the land back to its rightful owners would hurt the economy. He added that the Foundation had no right to correct the Members of the Committee – the Foundation should stick to their scope and not worry themselves about the matters on Parliament. Mr Van Dalsen said that Parliament had to pass legislation to administer land reform, and in doing so a proper, well-resourced department would have to be employed, and resources should be sufficient to capacitate land reform. Mr Koornhof asked if Parliament could pass a law without amending the Constitution. Mr Van Dalsen responded that Parliament could pass a law without amending the Constitution. There had to be declarations as to why the Constitution should be amended. Mr L Mpumlwana (ANC) said 67% of the land in South Africa was owned by white people. Inkosi Themba Mavundla, Exco Member: NHTL, said they acknowledged that the legacy of exclusion and marginalisation from access to land brought about by colonialism and apartheid had resulted in the triple challenges of poverty, inequality and unemployment. They also acknowledged that government had taken huge steps to address this harsh reality by means of the land reform programme. The organisation supported the government on its decision to expedite the land reform process, and to use all legal and administrative means at its disposal, including Section 25, the amendment of existing and the enactment of new legislation, as well as the implementation of appropriate administrative and institutional reform. The widely held notion that traditional leaders as an institution had no role in land ownership or land administration was unacceptable, and was a serious violation of the rights of communities which subscribed to and practiced a system of traditional governance in observance to their customary laws. By seeking to amend Section 25, as entailed in the motion of 27 February 2018, traditional communities would be dispossessed of what had been left of their land in perpetuity. Traditional leaders had, in fact, purposefully informed the government that the Expropriation Bill needed to apply specifically to the 87% of the land not controlled or owned by blacks, or previously disadvantaged individuals. It was submitted that the Committee should recommend that it was not necessary to amend Section 25, but to enact new legislation or improve the existing Expropriation Bill to specifically provide for expropriation of the 87% other land. Alternatively, should the Parliament conclude to amend Section 25, then communal land under the management of traditional communities must be excluded from being the subject matter of such expropriation. Mr Shivambu asked what the organisation’s view on the amendment of Section 25 was, to permit expropriation of land without compensation. How did the traditional leaders deal with the concern that they charged occupants of land annual rentals of more than R12 000? Were there discriminatory rules against women who wanted to own land? What rules were there for individuals who owned big pieces of land? He added that the EFF had proposed that government should own 87% of the land, and the 13% of the land managed by traditional leaders should remain in their hands, but the management of the land should be governed by set rules on how to administer that land. Inkosi Mavundla responded that land should be expropriated without compensation. The matter of paying levies differed in each province. There were provinces which required their tenants to pay annual levies, and there were provinces which did not require their tenants to pay levies. The levies that were collected were mainly for the development of the communities and for the development of the NHTL. The organisation was in the process of investigating which traditional councils were discriminating against women, but the organisation had not yet found any evidence to prove this claim. Mr Mpumlwana said they were not suggesting that the land owned by the traditional communities should be expropriated as well. He asked if the traditional leaders agreed that even the 13% of land under the ownership of traditional leaders was indirectly under the ownership of the government as well. Nkosi Mwelo Nonkonyana, Chairperson: Eastern Cape House of Traditional Leaders, responded that if land owned by traditional authorities was expropriated and owned by the government, then it would be almost as bad as the land being in the hands of colonists. He said that government should refrain from creating Communal Property Associations (CPAs) in areas where traditional councils existed. If the 13% of land owned by the traditional leaders was also expropriated, then the threat of violence may loom. He added that Chapter 7 and Chapter 12 of the Constitution needed to be revisited, because the current system of government was a western system of governance. By extension, Parliament would be undermining what their ancestors did when they fought in wars to get their land back – the 13% of land was a legacy left by their forefathers -- therefore it would be ludicrous to give the land back to government. No one under the traditional communities paid for ownership of land, unlike what was practiced in the urban areas. Mr Filtane said the CPAs should be invited to Parliament in order to understand what their roles in the traditional communities were. Inkosi Mahlangu said that CPAs and traditional councils could not co-exist. The CPAs did not lose any land, therefore they did not have the capacity, nor right, to administer communal land. Ms Mbabama asked if the House of Traditional Leaders also represented the Ingonyama Trust. Inkosi Nonkonyana had said traditional councils did not charge annual rental fees, but it had been noted by Parliament that the Ingonyama Trust charged their tenants annual rentals. Mr Swart said the organisation’s argument was somewhat contradictory. In one of their slides, the organisation stated that it was not necessary to amend Section 5, but rather to enact new legislation or improve the existing Expropriation Bill. On another slide, the organisation states that should Parliament decide to amend Section 25, traditional communities must be excluded from being the subject matter. He asked for the organisation to clarify these two statements. 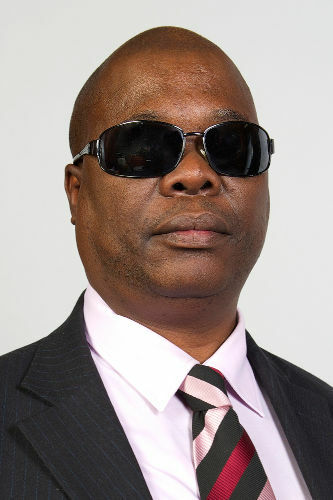 Inkosi Mahlangu said the Expropriation Bill had been withdrawn. The organisation was in support of the amendment to Section 25 – that there must be expropriation of land without compensation. The Ingonyama Trust was part of the House of Traditional Leaders, but it was administered by a different Act that had been enacted by the government. 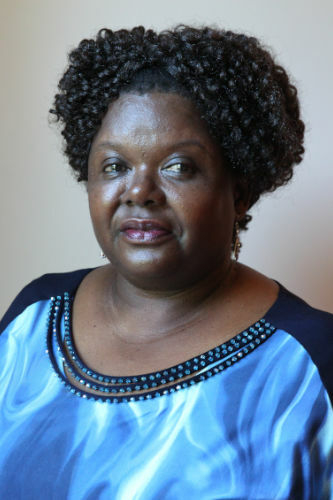 Ms D Carter (COPE) asked what would become of the 13% of land owned by traditional councils if the government decided to introduce title deeds to the owners of communal land, and would the 4.3 million hectares of land that had been bought by black farmers with their own money also be expropriated without compensation. Mr Buthelezi asked if the traditional leaders were claiming that only 13% of land was previously owned by black communities before they were dispossessed. Inkosi Mahlagu responded saying that while they supported land expropriation without compensation, the 13% of land owned by traditional leaders must remain in their hands. The organisation suggested that the land, which was held in a trust by the Minister of Rural Development, should instead be transferred to traditional communities as a form of security of tenure. He proposed that the communities, along with their traditional councils, would then decide how the land should be divided. He added that if the 13% of land owned by the traditional leaders was expropriated, there would be a threat of violence. Adv Dumisa Ntsebeza, Director: FHR, said the ANC had adopted a land reform programme to address the injustices of the past. The government had even gone as far as committing itself to a willing seller, willing buyer principle – this was a policy that had been widely marketed by the International Monetary Fund (IMF). Worth noting was that there was no provision in the Constitution for the adoption of this principle. The land reform programme had been a dismal failure, with less than 10% of the land transferred from white to black hands in more than 24 years since the advent of democracy. Land reform was important for correcting the wrongs of the past and for the purpose of reconciliation. In a country whose economy could not absorb its labour, land was important in tackling the current developmental challenges that the country was facing, such as inequality, poverty and food security. Taking this into account, the Foundation submits that Section 25(1) should be amended to make it less ambiguous in its attempt to balance the interests of existing property owners and the vast majority of those who were disposed of their property. Section 25 should unambiguously be in favour of restoring land to those who had been dispossessed of their land and subsequently denied citizenship rights, which included the right to buy and sell land. The Foundation also recommended that the amendment to Section 25 should clearly provide for land expropriation without compensation, of privately owned land which was not used or under-utilised. Dr Mulder said if the Foundation was suggesting that Section 25(1) should be amended then it should recommend an alternative that would replace the section. Ms Carter asked if the Foundation was suggesting that land could be expropriated without compensation. Advocate Ntsebenza responded that certain land could be expropriated without compensation, such as land that was not being developed or utilised. Section 25(3) should make clear that it illustrates that land deprivation was due to racism and tribalism. Prof Lungisile Ntsebeza, Expert Advisor, said Section 25 was meant to strike a balance between property owners, which consisted of the minority, and the vast majority, which were Black people. However, Section 25(1) seemed to be biased in favour of property owners, in the sense that it was ambiguous. The sub-section should be rephrased in such a way that the balance which was meant to be struck between property owners and those who were previously disadvantaged was clear. Section 25(3) was also vague around the issue of acquisition – the sub-section should be written in such a way that it was clear that “history of acquisition” referred to the history of dispossession. Given the fact that SA did not have a stable enough government, due to corruption and maladministration, to facilitate land ownership, title deeds should be given to individuals who owned land to secure their tenure. Adv Ntsebeza said amendment of a constitution should always be the last resort. Land reform was intended to be a redress for of past injustices. Mr Shivambu asked if it was possible for Parliament to go ahead and expropriate without compensation, and if Parliament decided to amend Section 25, was it possible that litigation would ensue. Adv Ntsebeza said that whether Parliament decided to amend the Constitution or not, there would be litigation ether way. 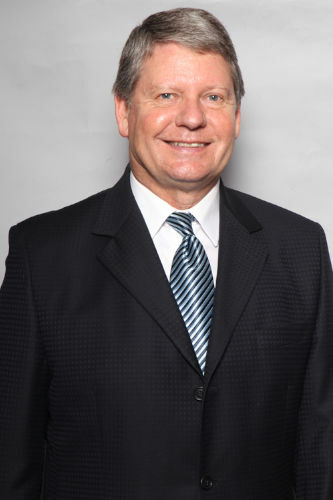 Bishop Steve Brislin, Catholic Parliamentary Liaison Office, said as a religious organisation they hesitated to express a firm view on whether or not the Constitution needed to be amended, either to allow for the specific matter of expropriation of land without compensation, or for the broader goal of accelerated land reform. They had noted the view that an amendment was not necessary, and that Section 25 as it stood allowed for the expropriation. The organisation was also aware of arguments to the effect that factors such as a lack of capacity in the relevant government departments, poor planning and leadership, were primarily responsible for the slow pace of land reform. On the other hand, the organisation was also aware and deeply conscious of the extent of land hunger in the country, and the need for a just resolution of the problem. It may well be that expropriation of land without compensation should be part of the overall package of land reform measures in SA. The church was not in principles opposed to this, especially in cases where the land in question was illegitimately and dishonestly taken from its previous owners. However, the fact that expropriation of land without compensation may be justifiable did not mean that it was necessarily a wise policy. It may end up having serious adverse consequences for the very people whom it was intended to benefit. Ms Mothapo asked if the church should not play the role of a mediator between the poor and wealthy during the process of land reform. Mr Maila said the church had not indicated whether they supported whether Section 25 should be amended or not. Mr Swart asked if Section 25, in its present form, allowed for the expropriation of land without compensation. Adv Mike Pothier, Catholic Parliamentary Liaison Office (CPLO), responded that the land debate should be discussed by legal experts, and not the churches. Mr Koornhof asked if farms owned by the municipalities should be leased. Mr Shivambu said he did not agree with the use of the Bible to substantiate why land should, or should not be expropriated, without compensation. He asked if the church owned any land. Bishop Brislin responded that they supported the expropriation of land without compensation, but only as an alternative. The land on which the church was situated was owned by the church, The church also owned land in Marion Hill, which had been sold to the provincial government. Mr Ernst Roets, Deputy CEO, AfriForum, said that other than a clear racist motivation that served as a foundation, there were at least three major problems with the SA government’s stance on land reform. The first was that it was based on a distorted perception of history. The second was that there was no real “hunger for land” – in fact, the vast majority of Black people in SA had no interest in owning agricultural land. The third was that where the government had intervened with regard to land ownership, it had had catastrophic results. However, before these issues were addressed, the dishonesty of the government regarding expropriation of property should be pointed out. President Ramaphosa had convinced international investors to invest in SA. Less than a month later, under the assumption that property rights would be protected in SA, the President had announced that the Constitution would have to be amended to allow for expropriation without compensation. It was argued that this policy must be executed so that more black people could own property, but it was evident from the policy documents of both the ANC and EFF, that the intention was for the state to own the land, not private individuals. This point was further proven by the fact that only 6.3% of land that had been bought by the state had been transferred to private ownership. It should be pointed out that the history of land ownership in SA was more complex than what political leaders argued. The truth was that white-owned land had been acquired in three different ways -- occupation of empty land, acquisition of land through negotiation, and conquest. Two comments should be made regarding the obtaining of land through conquest -- it was a common practice among black tribes, but obtaining land through conquest was not that common among the white people who settled in SA. What had come as a frustration to the government was the fact that 93% of those who had instituted land claims had indicated that they did not really have an interest in owning agricultural land, and they preferred to receive money as compensation. Many of the claimants already had small pieces of land and some did not even live in those areas from which their forefathers had been removed. Some said that they did not want more land than they already owned, and the risk involved if they asked for more land. A study by the Land Bank had found that 4 000 farms had been acquired since 1994 at a cost of R10 billion, of which only 10% were productive. It was submitted that more than 90% of the farms distributed by the state to black families had failed and usually reverted very quickly either to subsistence farming or to squatter camps. It was clear that the government’s push for expropriation without compensation was founded on racist sentiment and a distortion of history. While the primary targets of this policy were clearly white farmers, the primary victims might just as well be the very people that SA government claimed to represent. Mr Maila said white people did not acquire any open or empty land, as stated in the presentation. Ms Carter asked what the solution was. Mr Buthelezi said he was a descendent of a man who went into exile and left his land behind, only to find it occupied on his return. He used the metaphor that if a man lived in a six-bedroom house, but used only two of those bedrooms, did not mean that the other four bedrooms did not belong to him too. Ms Mokwele said AfriForum was undermining black people because of their white-minded ignorance. The majority of the land was owned by white people, which they had stolen through forced removals from black people. Whether AfriForum liked it or not, black people would take their land back. Mr Filtane said AfriForum’s attitude towards black people had hardened his attitude towards having a CODESA, and said that the constitutional amendment should be sped up. The Committee had wasted its time conducting public hearings, because there had been no negotiations 400 years ago. Black people had been forcefully removed and killed for land. Ms Mothapo said AfriForum was drunk with hatred for the ANC, the EFF and black people. There had always been a shortage of food in SA, the problem had not started with land reform. The amendment would not change anything. Their forefathers’ land had been taken away and negotiated with useless things such as mirrors. Mr Shivambu said the Committee should not be agitated by racist Afrikaner children who had been trying to disrupt the public hearings in all the provinces. If Afriforum was threatening black people with war, black people would be ready. Mr Koornhof said AfriForum was acting in the exactly same way as the Black Land First organisation, which had insulted the white members of the Committee. The organisation had embarrassed themselves and the organisation. He reminded the organisation that AfriForum had been present at all of the provincial public hearings, yet they had not come to the Committee with a proper solution. Instead, they had insulted Black people. Mr Swart said that he was deeply disappointed with AfriForum. The presentation’s tone had been arrogant and misleading. The insults in the presentation were unacceptable. Afriforum had commented on everything except whether the Constitution should be amended, and suggested that they should reconsider the approach of their presentation. Advocate Breytenbach said this was a missed opportunity for AfriForum to make its point clear, and she could not align herself with anything that had been said by the organisation. Mr Roets responded saying AfriForum was trying to expose the ANC and the EFF’s attempt to use the policy to own land, and to use it for their own benefit. There were serious injustices in SA that needed to be dealt with, but these must be dealt with on a factual basis. He could also tell stories of how his grandfather was locked in a concentration camp as a little boy. If the Committee rejected that there was open and empty land in 1884, it means it rejected the commission which reported that there was a lot of land where there were no people, and that missionaries had stated in their diaries that they found land that was empty. South African people should work for the land and not be given free land. The government should repair the maladministration inside the black schools, because evidence had shown that the black schools were the most dysfunctional in SA. The economic and labour policies were not founded on the pursuit of actual economic freedom, and unnecessary government departments should be closed down so that the money could be used for restitution. Mr Gerrit van Vuuren. Legal Advisor: Witzenberg PALS, submitted that the implementation of land reform involved the transfer of land to black ownership in a manner that would improve these new owners’ livelihood and eradicate poverty. They further agreed with the motion adopted by the National Assembly that land reform should be implemented in a manner that increased agricultural production and improved food security. Notwithstanding the provisions of the Constitution and the various initiatives by the Government since 1994, land reform had not been implemented successfully in SA. Section 25(4) referred to the nation’s commitment to land reform. It followed that it was not only the government that had the obligation to implement land reform -- all sectors of society had an obligation to support, engage and commit themselves to successful land reform. Section 25 was not an impediment to the acceleration of land reform. Section 25 (5), (6) and (7) provided for the promotion and protection of rights to redistribute, tenure security and restitution of land. PALS submitted that in order to give proper effect to these rights, black people must become owners of the land. Section 25 removed any potential impediment to this obligation in providing legislative and other measure to achieve land, water and related reform. The amendment of Section 25 would have far reaching and unintended consequences, such as a detrimental effect on those rights enshrined in Sections 3, 7, 9, 22 and 24, and thus on the Bill of Rights as a whole. Therefore, it was undesirable to amend Section 25, but also unnecessary, as the very purpose of land reform could be achieved through other means and without meddling with the Bill of Rights. In this regard they referred to the limitation of the Constitution, Section 36. Mr Maila asked what their view on the amendment of Section 25 was, and if they were suggesting that Parliament should amend the Expropriation Bill in accordance with Section 36. Mr Shivambu asked what the involvement of Mr Ndaba, a farmer, was in the PALS organisation. He asked if the organisation had consulted with Prof Ruth Hall, because their presentation was similar to the one she had submitted. Mr Ndaba responded that Black people needed to be skilled to develop the land they would be receiving. He had started off as a farm worker before receiving a share in the farms, and therefore he had the necessary skills to work the land. Mr Shivambu asked if the farmers had received any dividends in the past. Mr Ndaba said it took five years to see a profit if one was planting vegetables, but for this year each shareholder in the 30% shareholding had received R114 000. Mr Van Vuuren said that people had to be given agricultural and management skills first, before they could be given land. Witzenberg PALS owned 30% of land in Ceres and its surrounding areas, while the rest of the 70% was owned by commercial farmers who were mostly white. He said that they had not consulted with Prof Hall, and it was only coincidental that their presentations were similar. Mr Swart said the presentation had shown that it was possible for individuals to work together across political and racial lines. Mr Van Vuuren responded that land reform consisted of restitution, redistribution and tenure reform. A number of their members had donated land for farming and property. PALS had already implemented 15 new programmes to empower emerging black farmers without assistance from the government. Ms Mothapo asked for the organisation to explain what they meant by saying it would be detrimental to amend Section 25. Mr Van Vuuren said Parliament’s motion to amend Section 25 was for the sake of increasing productive farming and to improve food security. If Parliament tampered with the Bill of Rights and Section 25, then sub-section 3 stated that citizens had certain rights, such as ownership. Section 9(2) included the enjoyment of rights and freedoms – and ownership could be seen as a right to freedom. Therefore, if the state wanted ownership of the land, it would infringe on the rights and freedoms of individuals. Ms Mothapo commented that the Committee was trying to restore the same dignity that PALS was referring to.